WELCOME to the online home of Curt's Cycle Center! Serving Central South Dakota for over 38 years with full service and sales of new and used Honda motorcycles, ATV's and custom accessories, Curtis Hieb, Brian Hieb and the staff at Curt's Cycle Center are dedicated to providing our customers with nothing but the best in sales and service. Immediately assuming its position as the clear leader in the full-size multipurpose SXS category, Honda's new from the ground up, no-compromise Pioneer 1000 is powered by a purpose-built inline, twin-cylinder, Unicam 999cc engine. It's also the first side-by-side with a 6-speed fully automatic DCT, a state-of-the-art beltless transmission that is durable, efficient and easy to use. Designed, developed and produced according to Honda's holistic methodology, the largest Pioneer is smooth-riding and extremely versatile. 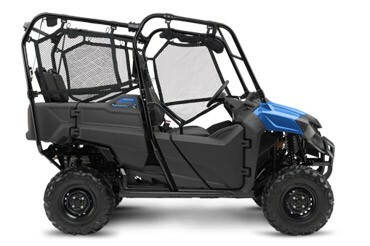 Built in the USA using domestically and globally sourced parts, the Pioneer 1000 is offered in four different configurations, from the base three-person version to the Deluxe five-person model, which features 14-inch aluminum wheels, 27-inch radial tires, LED headlights and electric power steering. 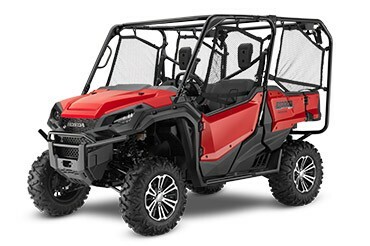 Every Pioneer 1000 comes standard with four-wheel-drive, as well as high-low sub-transmission and 4-mode differential lock, while the five-person model features auto-leveling rear suspension and a full-size convertible bed with Honda's exclusive QuickFlip seating. An extensive range of Honda Accessories is available, and the Pioneer 1000 is covered by a one-year warranty. Spending a day in the great outdoors is always more enjoyable when you're sharing the experience with a friend. And that's what Honda's Pioneer 700 side-by-side is all about. Whether it's for work or for fun, the Pioneer 700 lets you bring a friend or a helper along. Introduced in 2014, the Pioneer 700 has proven to be a great tool for anyone whose workday or weekend takes them off the beaten path. Equipped with a dual-rate suspension spring, it's designed to give you a smooth ride while still providing plenty of travel and superior load-carrying capacity. The Honda SXS700-4 features a convertible rear seating design that offers the convenience and versatility of switching between two, three, or four person seating configurations, and provides a full bed space and tilt function while in the two-person configuration. 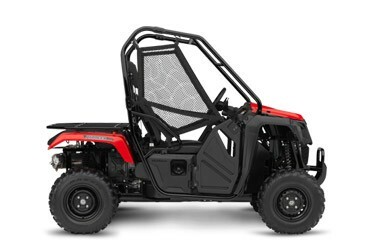 An extensive range of Honda Accessories is available and the Pioneer 700 is covered by a one-year warranty. Chamberlain's Curt's Cycle Center Honda is conveniently located in Chamberlain South Dakota, just minutes away from Oacoma and Fort Thompson. Curt's Cycle Center has the area's largest selection of Honda ATVs, MUVs, motorcycles, scooters, watercraft and power equipment. 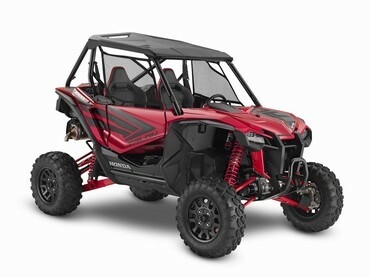 If you are looking to buy a new or used Honda ATV, MUV, motorcycle, scooter, watercraft or power equipment then Curt's Cycle Center is the dealer for you. In the years that Curt's Cycle Center have been in business our customers have come from communities like Chamberlain, Oacoma, Fort Thompson, Plankinton, Kimball, Mitchell, Platte, Reliance, Kennebec, Presho and Vivian as well as throughout the state of South Dakota. Best of all, Chamberlain Curt's Cycle Center Honda has a great staff on hand to assist you with your all of your needs when it comes to parts, factory service and OEM accessories for your vehicle.